We are the Engine Room for the Next Big Thing. At Volo, we aren’t just building the future – the work we are doing for industry players is defining it. And that, in turn, defines us. We are one of the most unique, algorithmically-centered software innovation boutiques. What's our secret? Our core values. We are never satisfied with the status quo. Rather, we aim to massively disrupt industries. Instead of just delivering a brief, we aim to become a partner to our clients and provide them with additional, mostly patentable ideas that will take the project to the next level. We don’t just look for developers, but mathematicians, physicists, and chess masters, who are insatiably curious, world-class architects. In our view, the only way to deliver bigger ideas is to put the smartest people on every project. While there may be a formula for product evolution, there isn’t one for getting to disruptive ideas. It takes people who view the world in fundamentally counter-intuitive ways to actually disrupt entire industries. That’s why we aim to have The Specials among us, people who see music where others see gray. That's how we're changing the future. Volo's Executive Leadership combines decades of world-class technology and industry experience with a passion for quality and for innovating the next big thing faster. They cultivate a work ethic and company culture that makes Volo a one-of-a-kind place to work. In 2006, two IT engineers and innovators from Armenia had just been part of creating idram, the first online payment platform in the region. When the idram project matured and the need for innovation slowed, they launched a software development and innovation company that inspired people to innovate big time, all the time – Volo. A decade and over 160 flawlessly implemented innovative projects later, now Volo is an increasingly global company with seven development offices and representations across the globe. Volo’s industry changing innovations have been helping some of the world’s leading companies take a step forward towards the next digital era. Volo Kitchens: Where We Nurture Individuality and Radically Fresh Solutions. As an increasingly global company, Volo has seven kitchens (aka offices) in Armenia and the Ukraine and over a dozen representations that cover all the regions of the world. At Volo we've cultivated a unique means of encouraging breakthrough innovation: kitchens – small, intimate offices of no more than fifty people, where the world's brightest come to challenge the status quo and change the future. For millennia, Armenia has been nurturing the world’s greatest mathematicians and algorithmic thinkers. In modern times, Armenia was the R&D epicenter of the Soviet Union. From creating and building the first Soviet atomic bomb to pioneering the supercomputer and the microchip and fathering modern encryption, Armenians have changed the course of tech history. 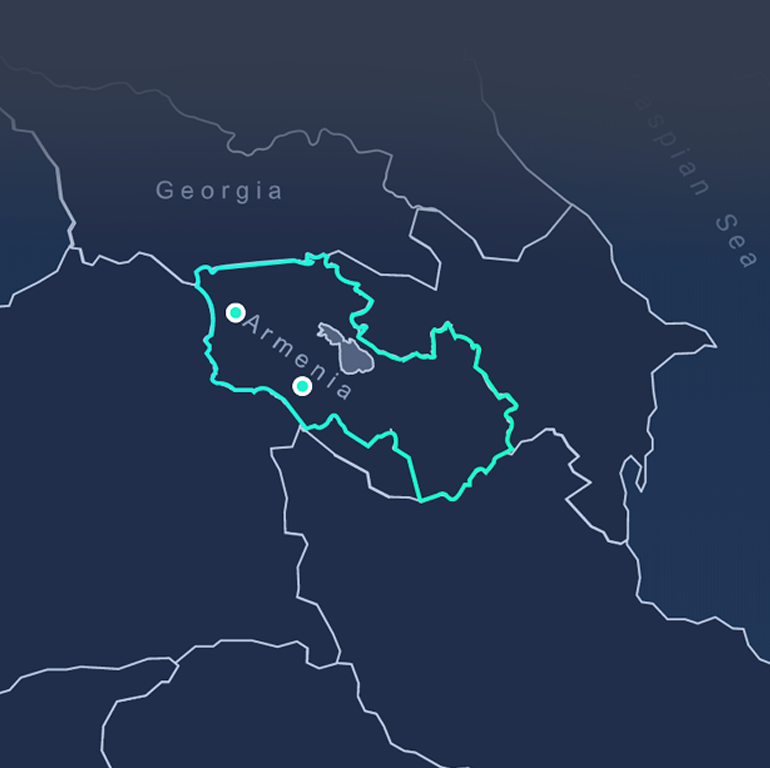 Learn more about how you can put Armenia's next-gen innovators to work for you today. With 30,000 new software engineers graduating each year – all of whom come from a world-class STEM-centered education system – Ukraine is uniquely positioned in Europe to be the epicenter of tomorrow's innovation. Known in Soviet times as the engineering heartland of the Soviet Union, today Ukraine boasts an engineering workforce unrivaled in both size and skill in all of Europe. With 30,000 new software engineers graduating each year - all of whom come from a world-class STEM-centered education system - Ukraine is uniquely positioned in Europe to be the epicenter of tomorrow's innovation.